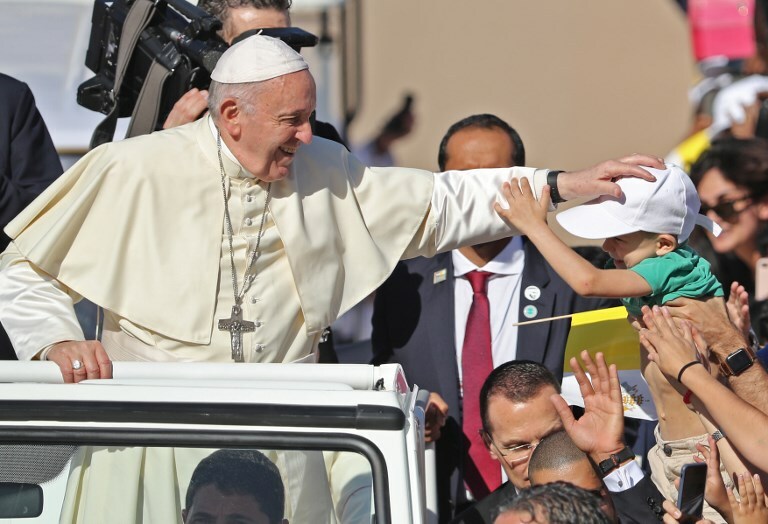 Pope Francis blesses a child as he arrives to lead mass for an estimated 170,000 Catholics at the Zayed Sports City Stadium on February 5, 2019. Pope Francis, the Head of the Catholic Church and Sovereign of the Vatican City, has delivered an historic Papal Mass to 180,000 Catholics in the United Arab Emirates that was televised around the world. Pope Francis arrived on his Popemobile to greet the excited crowds both inside and outside the Zayed Stadium where he conducted the 90-minute Mass.